The school encourages children to take responsibility for learning and some events. We have developed our pupils to have a voice in school through our School Parliament (previously School Council), our prefect system and our head boy and head girl. Meeting at least twice a half-term the Leadership of the Parliament meet to cordinate the work of the pupil voice in our school. They establish the charities that are supported and take lead roles such as welcoming visitors at special events. Meeting at least twice a half-term the Worship and Ethos Council raise the profile of our Christian Ethos in our school. 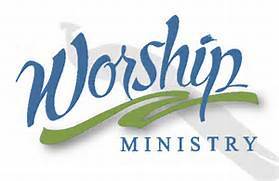 They deliver worship at least termly and evaluate the presence of worship and prayer. They also present our (Christian) Vision and Values Awards on Fridays. Meeting at least twice a half-term the Sports Team raise the profile of healthy lifestyles, spots and help lead lunchtime activities with our Sports Coaches. They also help in the organisation of intra-school sports. Meeting at least twice a half-term the Safety, Science and Environment Team raise the profile of being safe both online and in supporting safe parking. They also support devloping our school environment.